Interview with Jenny Mellström: Who is Dima's fiancée? 29.01.2013 - In Dimitrij Ovtcharov's life everything seems to work out very well at the moment - in the table tennis hall and at home. After his great success at the Olympics 2012 in London, where he won two bronze medals, he made the next dream come true and proposed to his girlfriend Jenny Mellström. But who is the queen of his heart? We met his Swedish fiancée, who has been a promising table tennis talent by herself, and got to know her a little bit better. myTischtennis: You used to play table tennis in your youth, too. Why did you stop playing? Jenny Mellström: I just wanted to experience other things, to travel and to see something outside the table tennis hall. That's the main reason. I have been playing in the national team for ten years and won the Swedish youth championships several times. Then I decided to move to Japan, where I played for about a year. The difference between how they are practising there and what I was used to was enormous. So when I came back it was difficult to get used to my former practise. I was considering moving back to Japan for a longer period, but not only the practise there was different – the life was very different, too. I can’t do something half-hearted so I knew that if I wanted to continue I would give it my everything and also move back to Japan. It was a close decision but it finally came down to that I felt like I will take with me everything I experienced and learned and start a new chapter in my life. myTischtennis: But although you stopped playing professionally, do you and Dimitrij play against each other sometimes? Jenny Mellström: Yes, we do - in holidays, for fun, when he likes to practice a little bit. He often gives me some extra points, it's really funny to play with him. Jenny Mellström: (laughs) No, not so much. If you see him during a game you think that, among others, his service is really good. But when you try to return it by yourself, you see how good they really are. myTischtennis: So you both have table tennis experience: Did you also get to know each other in a table tennis hall? Jenny Mellström: Yes, we first met when we were fifteen and saw each other at some competitions, but didn't talk that much. After some time we started to talk more and more… About three years ago we went to Prague together and since that time we are a couple. myTischtennis: Last year you moved to Düsseldorf. How do you like this city and Germany in general? Jenny Mellström: I like Germany a lot, especially Düsseldorf, it’s beautiful here and the city’s heart is big and has a lot to offer. That’s nice since I’m used to Stockholm, another beautiful and big city. I particularly like the Japanese area in Düsseldorf, where we often are. We eat a lot of Japanese food, not only in the restaurants, we also buy groceries there to cook some Japanese food at home. 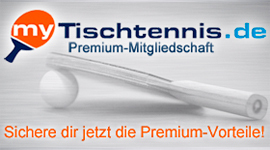 myTischtennis: Do you have a job here in Düsseldorf? Jenny Mellström: My family runs two private schools in Sweden and I am contributing to its running insofar as I am doing marketing work online. That’s perfect, because I’m working online and can work from here or from anywhere else where I’m traveling with Dima. Jenny Mellström: I like to work, to learn new things and to develop as a person, regardless of what Dima’s work and earnings are. myTischtennis: So you don't fit into the cliché of a football player's wife. How is it to be a table tennis fiancée? Jenny Mellström: We joke about it sometimes. Dima says that if I will get some football player's wives as friends that I will be the "table tennis wife!" (laughs). 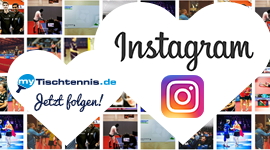 myTischtennis: How often do you accompany your fiancé to his competitions? Jenny Mellström: As often as possible, almost to all competitions. It's an advantage that I really love table tennis. Spending a week or a weekend in the hall - the whole day - is a privilege for me. Other people might get tired, but I love watching table tennis. And to be able to watch and support Dima, playing on the highest level, makes me happy. Jenny Mellström: Yes, I’m very excited. I know how much he gives for his table tennis career and I’m very excited to see how that pays back to him when he reaches his goals and dreams. myTischtennis: You have also been in London during the Olympic Games. Please describe how you experienced the men's singles-competition. Jenny Mellström: It’s very difficult to describe. Before, I was used to watching the Olympic Games in TV, but if you are there in this overwhelming atmosphere and you know an athlete who is performing – all this together is so emotional. Especially if this athlete, who is so close to you, realizes his dream. myTischtennis: So he reached one of his goals in sports, soon he'll make another dream come true and will marry you. How did he propose? Jenny Mellström: It was during our recent holidays in Abu Dhabi and it was really romantic, just him and me. But we both knew for a longer time that we want to marry and that we are ready to do it. myTischtennis: What are your plans for your wedding day? Do you have something special in your mind? Jenny Mellström: Yes, a lot (laughs).